Smt. 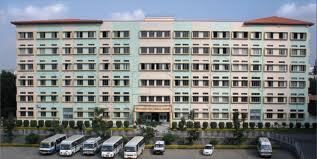 Kashibai Navale Medical College and General Hospital is run by Sinhgad Technical Education Society which was formed in the year 1993 and runs about 90 Teaching Institutions starting from junior most school/ playgroup to highest post graduate colleges in various professional fields. The medical college and general hospital which is named after reverend mother of Prof. M.N. Navale, the founder president of STES was started in the year 2007. From the humble beginning of 300 beds, the hospital bed strength has been increased to 500 teaching beds excluding 34 ICU and 3 Haemodialysis beds. We have added 3 Haemodialysis machines and an R.O. plant for dialyzing the patients of Acute/ Chronic Renal failure. All the facilities of hospital including Registration, Accommodation, Investigations, Medicines, Surgical Procedures and all type of consultation available at the hospital are provided free to the patient, who are also provided with two wholesome meals everyday of stay in the hospital without any cost to patients. The management of Medical college and Hospital i.e. STES spent Rs. 60 crores during calendar year 2009. There has been tremendous progress in the medical college also in that first three batches have cleared their Ist MBBS exam, first two batches have cleared Iind MBBS exam and we can say with pride that our first batch of MBBS students is going for final MBBS exam in 2011. In the meantime the fourth batch of 100 students has joined in September 2010 and the college is humming with activities of students. It is a well known fact that Medical college and Hospital is spread over an area of 27 acres and construction of new residential quarters is in progress and likely to be completed soon. The acid test of our state of art AUDITORIUM on 5th floor of college building was from 20 August 2010 to 22 August 2010 when an International Surgical conference titled ENDOSURG 2010 was conducted successfully. The word spread to other institutions of STES also and subsequently from 13 December 2010 to 17 December 2010 a web conference regarding telecommunication titled INTERNATIONAL TELECOMMNICATION UNION (ITU) KALEIDOSCOPE 2010 was conducted. The spacious parking area has become less for the number of vehicles parked and we will have to assign some more additional area for parking purpose. There has been Inspection of Pre and Para clinical departments by the appropriate authority for purpose of granting permission to start post graduate studies in various disciplines of pre and Para clinical subjects. We are likely to start post graduate programme in 2011. There has also been increase in Teaching and Non-teaching staff, Equipment commensurate with increase in number of patients both OPD and IPD. 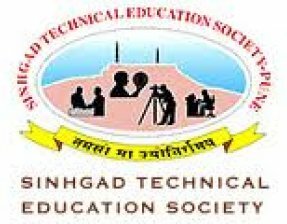 You may be aware about the activities of Sinhgad Institutions established with an objective to provide quality education from school to post graduation programmes in all disciplines. At present Sinhgad Technical Education Society and its associates namely Savitribai Phule Shikshan Prasarak Mandal Kamlapur (Solapur), Shrinath Shikshan Prasarak Mandal Pune and Yashwantro Chavan Shikshan Prasarak Mandal Mumbai running 85 institutions, housed in fully developed campus, imparting education to over 55,000 students. The locations of these campuses are in pollution-free, lush green and picturesque environment conducive to learning. All institutions enjoy the services of vast intellectuals that comprises of eminent personalities drawn from the field of Medical, Dental, Pharmacy, Nursing, Architecture, Education, Management, Engineering and Technology and Industry. We have made incredible progress in a very short span of time and today we have established our identity as one of the premier educational institutes and created Sinhgad brand not only in Maharashtra but in the entire country. All the institutes have excellent infrastructure and we keep on upgrading theses facilities. All technical and management programmes are approved by AICTE, New Delhi and are affiliated to University of Pune, University of Mumbai and Solapur University. 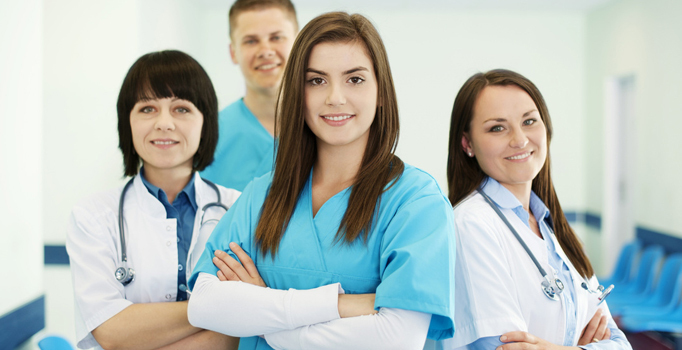 Similarly, the Dental, Medical, Nursing and Physiotherapy colleges under the Health Care are approved by the respective councils viz Medical Council of India, Dental Council of India, Indian Nursing Council etc. and are affiliated to Maharashtra University of Health Sciences, Nasik. Other programmes like Teacher's Education, Architecture, Law and Pharmacy are approved by respective councils viz National Council for Teacher Education, Council of Architecture, Bar Council of India and Pharmacy Council of India and are affiliated to various universities. We have also established a Central Placement Cell which organizes the active training and placement programmes that provide assistance and guidance to the students of Management &amp; Technical Institutes. The Industry experts are invited to give an insight to the expectations of professional world to the students. Institutes have been maintaining a track record of over 90% placements since inception and a very high percentage of this has been with corporate and multi-national companies. The faculty development programmes are organized on regular basis with the collaboration of renowned world wide institutions. National and International Seminars are frequently organized at various campuses to explore new ideas and researches in Management, Information Technology and Engineering. Highly qualified and experienced faculty is our strength. Educational tie-up with some of the renowned Foreign Universities and institutions for academic and research collaborations in respect of faculty exchange and faculty development programmes. More than 700 foreign students from Asian, African and Australian continents are pursuing their graduation and post graduation studies in Sinhgad Institutes. The student development programmes too are organized to provide multi-faceted skills and leadership qualities to our promising students. All campuses have excellent hostel facilities and other students amenities like well-equipped central libraries, internet facilities, auditoriums, seminar halls, open-air theatre, ATM Centers, clinics, market for essential commodities and Bank counters etc. We always endeavour to meet the growing needs of higher technical and management educations by adopting new technologies, providing resources and by developing positive attitudes. The students of Sinhgad Institutes always cherish memories of their stay on campus throughout their life. Blood Bank is an essential part of a hospital which has to provide health care to the society. The blood is required for various reasons but basically to replenish the loss weather due to injury, surgery, inborne diseases causing haemolysis, loss due to diseases or nutritional deficiency causing less production to blood. Whatever may be the cause, the therapy with blood is an essential part of treatment. The Physiotherapy department is located on the ground floor of building having blood bank on first floor. The department was started with the hospital and has progressed since then keeping pace with expansion of the hospital. The department is well equipped with machines like combo of electrotherapy, ultrasound and laser unit, automated cervical and lumbo sacral traction unit, Short Wave Diathermy, Ultra sound therapy, Wax bags, Cold pack and many more pieces of equipment to provide physical therapy to indoor and outdoor patients. The department has well qualified Physiotherapists who take their rounds of hospital to provide bed side Physiotherapy to non- ambulatory patients at least twice during a day. The ambulatory patients visit the department and are provided with treatment there. Address: S.No. 49/1, Westerly Bypass Road, Narhe (Ambegaon), Pune - 411 041.